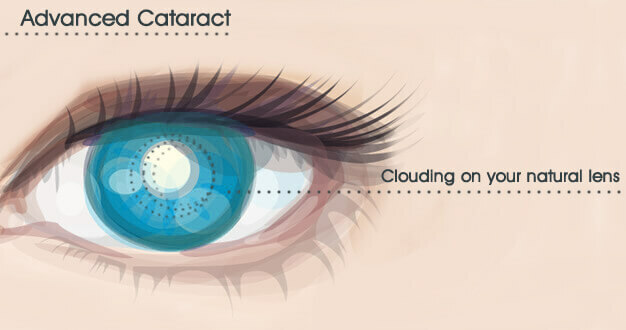 A cataract forms when the natural lens of the eye deteriorates. Cataracts commonly start to appear at the age of 40 when the natural lens loses its flexibility. This reduces the eye's ability to change focus from near to intermediate to distance viewing and back again. This is known as presbyopia, or loss of accommodation, and is part of the normal aging process of the eyes. The development of cataracts varies from person to person. As a general rule, most cataracts develop slowly over time, from months to years, before they mature to where they start affecting one's vision and interfering in daily activities. Cataracts are a normal part of the aging process. In some cases, an injury that damages the lens can result in a traumatic cataract, or a rapid clouding of the lens. Even if cataracts are not interfering with daily activities, they should be monitored. The only definite treatment for cataracts is to surgically remove them. Phacoemulsification is the most common and standard surgery with intraocular lens implantation. Phaco uses ultrasound energy to break the cataract and then shell it out of the eye. An intraocular lens implant is placed in most people. There are two different types of implants that can be used: single vision implants and multifocal implants. Dr. Selem will help you determine which lens is right for you. Laser cataract surgery is an effective cataract treatment that can help restore clear vision. Prior to the start of laser cataract surgery, eye drops and an anesthetic may be applied to your eyes. During cataract laser surgery, Dr. Selem can create precisely accurate incisions along the cornea (clear outer layer of the eye). When compared to traditional cataract surgery, laser cataract surgery has more stability and precision when creating incisions and removing the clouded lens. Precise incisions can lead to a more effective cataract treatment and laser cataract surgery results. Once the incisions are made during laser-assisted cataract surgery, Dr. Selem will remove your clouded lens. Your unhealthy lens will be softened with laser technology during your laser cataract surgery. By softening the cataract, less ultrasound energy is needed to break down the cataract, reducing the possibility of disturbing any healthy eye tissue. 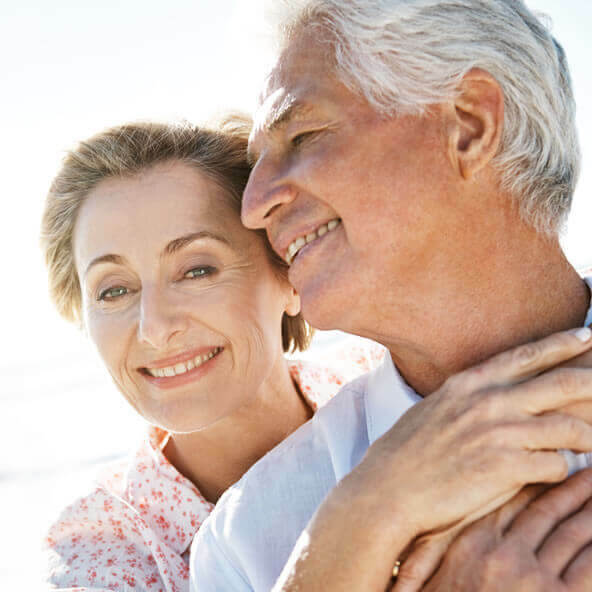 A laser cataract treatment can remove cataracts as safely and gently as possible. A new lens will then be placed where your previous lens was removed. Using laser-guided technology, Dr. Selem is able to more accurately place your new lens. The accurate placement of a new lens is pivotal for clear vision after laser cataract surgery. You will be able to return home the same day as your laser cataract surgery. Within 24 hours, Dr. Selem will have a post-procedure appointment with you to assess your eyes and ensure they are healing properly. You may also be prescribed eye drops to help reduce any possibility of infection and promote healing. Following laser cataract surgery, you may be required to wear clear protective eyewear, which should be worn for the first few days of your recovery. This protective eyewear should also be worn while you sleep to reduce any possibility of something rubbing against your eyes as they heal. How Do I Get Started with Cataract Treatment? Dr. Joseph Selem and the staff at The Selem Center for Ophthalmology & Plastic Surgery would be happy to help you set up a private consultation to discuss cataracts. Schedule an appointment online or call us at 305-444-0221.